Bechert, lighting design by Ethan hoerneman, costume design by Chessa Nilsen. Presented at the Lucie Stern Theatre in Palo Alto. 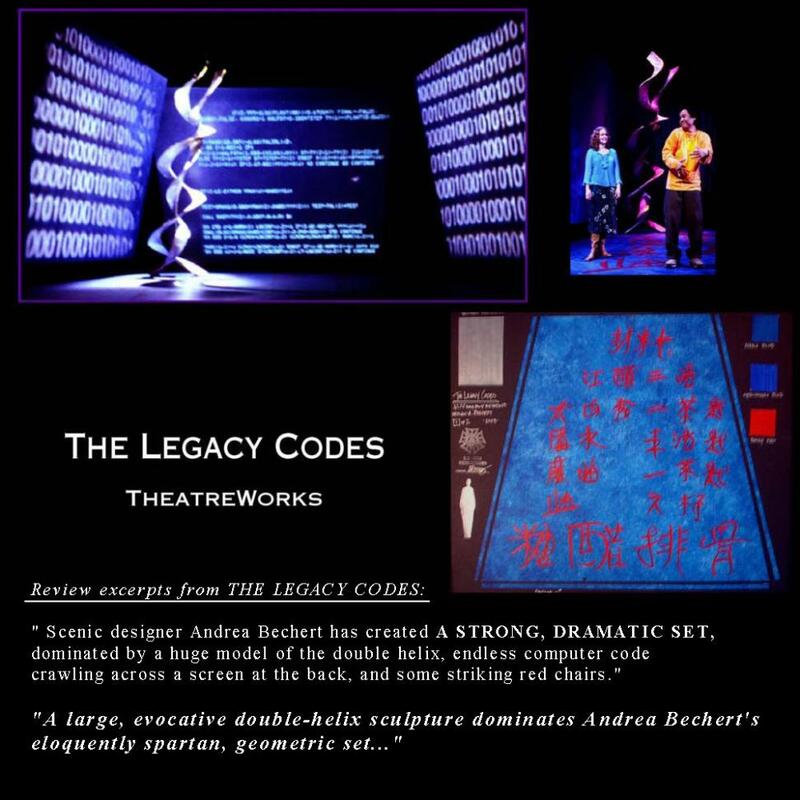 A silverdouble-helix rises from a raked floor in rich blue, accented by striking red Chinese characters. Three walls of rich dappled blue projection surface tilt in, providing for a slightly precarious balance. Simple furniture in striking red provide for dramatic contrast against the rich sea of blue.